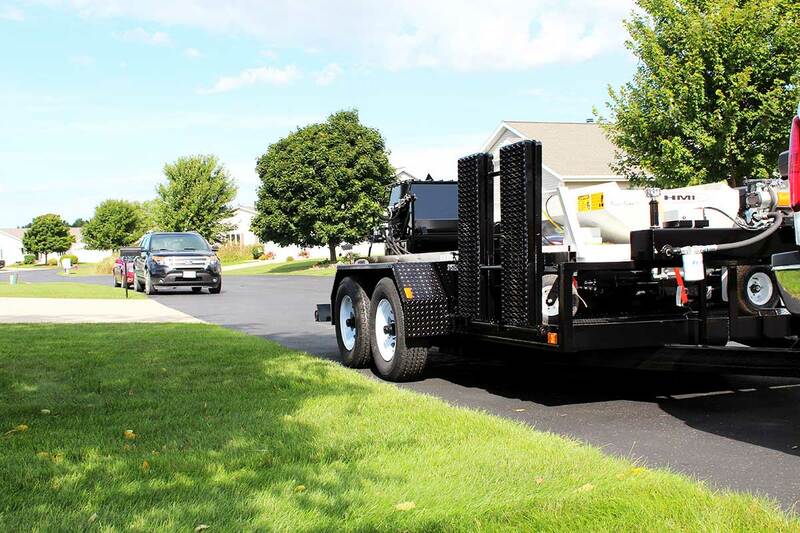 Our sales and service experts can help you determine if the Mini Mudjacking Trailer will fit with the market you are trying to service and fit into your budget! Call us for a custom quote on a system tailored just for you! Wondering if the Mini Mudjacking System is right for you? 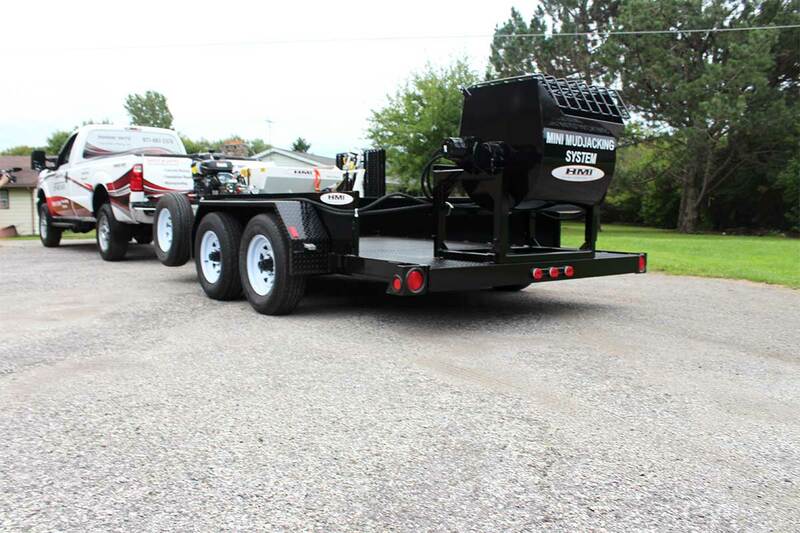 The Mini Mudjacking Trailer is the comprehensive, small-scale mudjacking solution, which is perfect for the budget-conscious, but big enough to get the job done! Easily wheel your HMI mudjacking pump up the double-hinged ramps and into a specially-sized pump compartment. 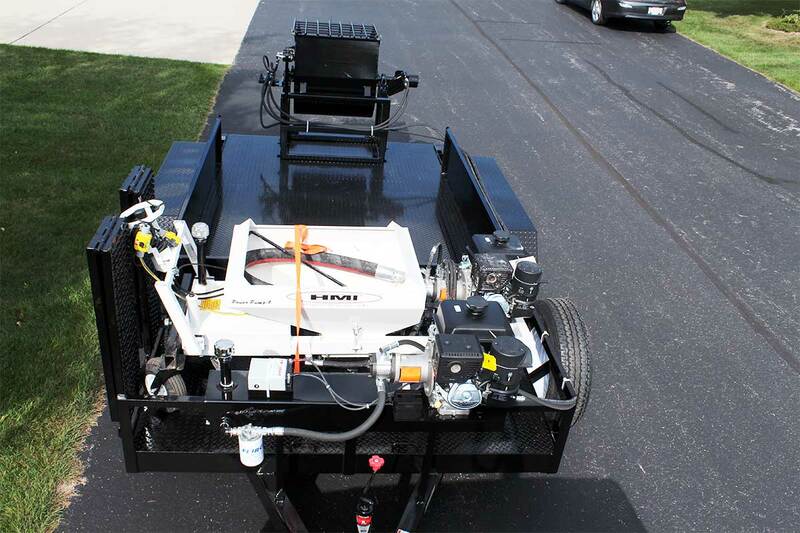 The trailer guarantees maneuverability, and supplies 2 cubic yards of storage for slabjacking mix materials. 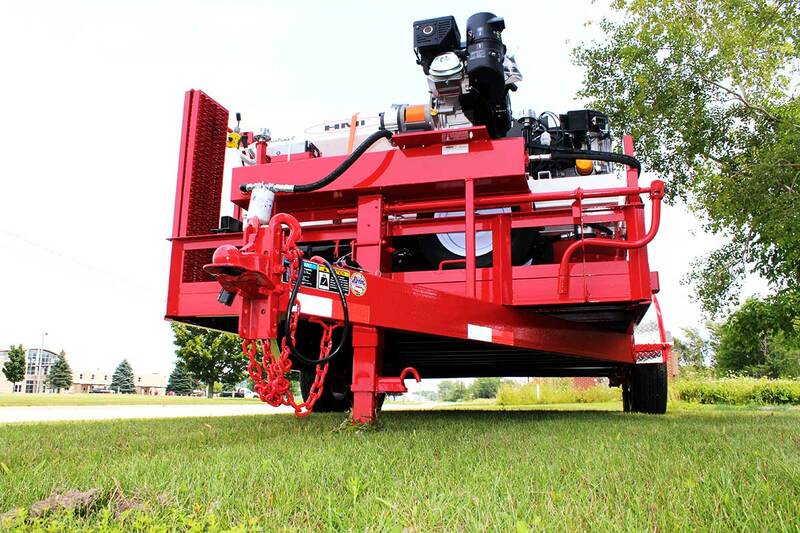 For easy access while mixing and pouring, a hydraulic paddle mixer with a hydraulic dump occupies the tail end of the trailer.